UK MP Julian Lewis, who twice voted in favour of the Civil Partnership Bill in 2004, and who has been a member of the Intelligence and Security Committee which oversees MI5 and the other security services. The UK parliament's select committees oversee the work of government departments and agencies. In June 2015, Conservative Member of the UK Parliament Julian Lewis became the chair of the Defence select committee. Keith Vaz MP is to chair the Home Affairs select committee. 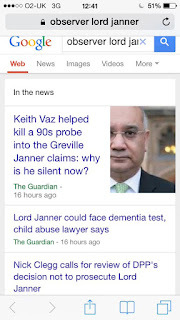 KEITH VAZ - CHILD ABUSE COVER-UP. Sir Edward Leigh MP failed to become chair of the Justice select committee. Darren was a victim of the child abuse ring which involved top people. In 1994 Scallywag had a story about Julian Lewis. 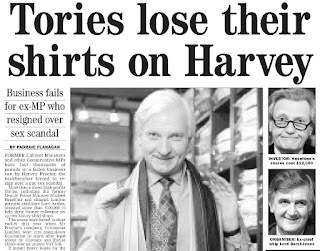 Former Conservative MP Harvey Proctor has been interviewed by police investigating claims that three children were murdered by VIP child abusers. He was interviewed by detectives under caution. He was questioned for six hours. His name was reportedly given to police by at least two victims of of a child abuse ring.